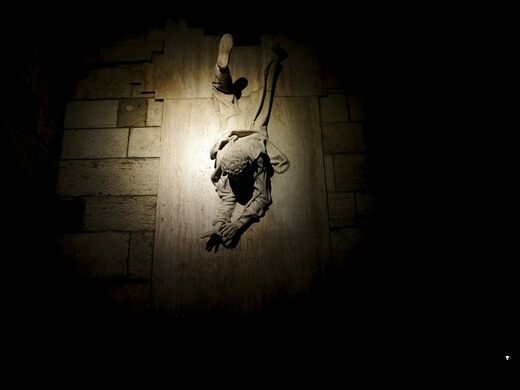 What appears to be a piece of expressionist art—a man falling headfirst towards the pavement—is actually a memorial for a Hungarian revolutionary, Péter Mansfeld, who was martyred for the cause in 1959. The Hungarian Revolution began with students, who mounted a peaceful demonstration against the Soviet regime in Budapest on October 23, 1956. Unrest had been brewing for some time, evidenced by the 200,000 people who turned out to call for an independent Hungary. They dismantled communist icons and flags throughout town. Many of the activists were just teenagers, including Péter Mansfeld, then just 16 years old. When protest leaders attempted to storm the Radio Budapest building to broadcast a list of their liberation demands, they were stopped by the Soviet Secret Police. The crowd grew unruly, the police opened fire, and all hell broke loose. Central Budapest was a war zone for the months to come, the streets lined with burning cars and police barricades. The Soviet police attempted to hide their weapons throughout the city in places like empty ambulances, but the protesters found and stole them. As the revolution was winding down, Péter Mansfeld and four other teenage freedom fighters continued hoarding guns and grenades in the event the rebels needed them again. They broke into the Minister of the Interior’s villa to steal ammunitions, and narrowly escaped a plainclothes police officer on their way out. In 1958 they stole a car and kidnapped a police officer on another weapons mission. The youngest of the revolutionaries grew frightened as the authorities circled closer on the five boys, and told his parents, who, as loyal communists, turned them in immediately. 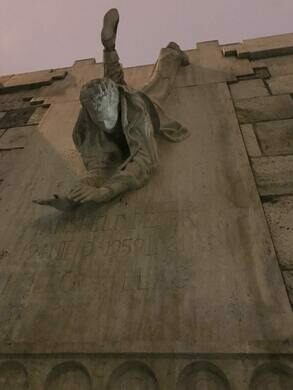 While police were investigating the site where the guns were hidden (beneath Budapest Castle), Mansfeld made an escape, leaping from a 13-foot-high ledge in the Rose Hill neighborhood and breaking his hand in the process. This escape was futile though; he was found the very next day. Mansfeld had been arrested earlier in the month for stealing a car and disseminating anti-Communist leaflets on the street. These offenses, coupled with charges of abduction, theft, harboring arms, and committing violence against the state were evidence enough of his deviance. The Soviet government planned to make an example of the five young rebels. It was determined that Mansfeld and his companion, József Blasko, were the ringleaders. The prosecution urged the judge not to go easy on the accused because of their age, but instead to order the most “draconian rigors” possible for the political traitors. Blasko was given a life sentence, while Mansfeld was sentenced to death. Because he was only 17, he would live out the rest of his short life in custody of the Soviet Secret Police. 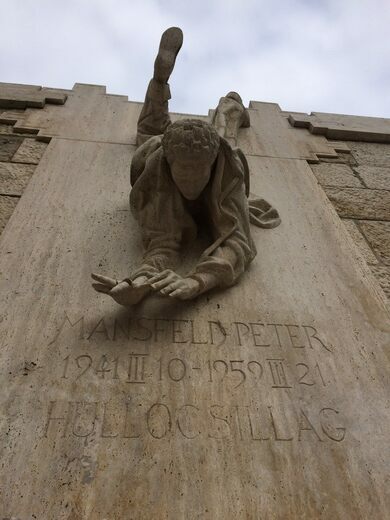 Mansfeld was held and tortured in jail until after his 18th birthday, when he was hanged. The execution was allegedly botched, and it took the young revolutionary 13 agonizing minutes to die. 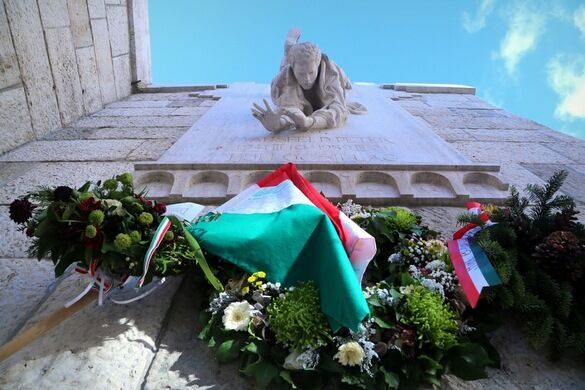 Péter Mansfeld became an icon of the revolution, especially the thousands of teenaged martyrs who died for Hungarian independence. 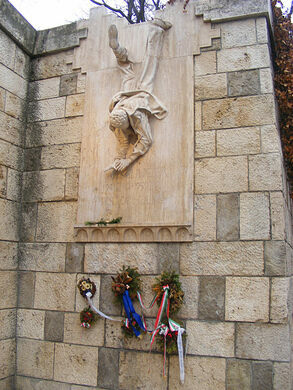 This statue, and one in Veronika Park, commemorate the national hero’s sacrifice. 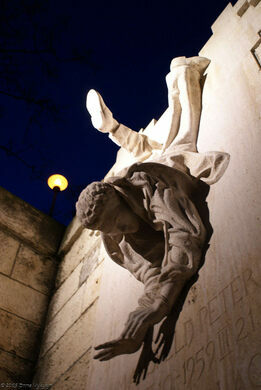 This statue on Szabó Ilonka Street is sometimes called “Man Falling Into Death.” It depicts Mansfeld plummeting through the air in his fall at Rose Hill, twisting in fear towards his ultimate end. Beautiful antiques and obscure engineering artifacts trace the evolution of phones from rare luxuries to ubiquitous. Pictures tacked onto trees remember the more than 40,000 of Stalin's victims buried here in mass graves.